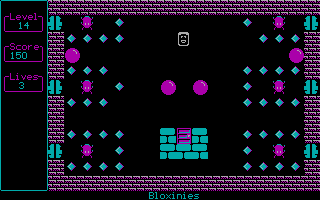 Back in the old days I wanted to program a game called Bloxinies. One of the requirements was to use the DOS-based smiley but besides that not much thought was put into the game. Sometime later the game Zeux popped up which used the smiley as main character. The primary goal is to grab all the diamonds and exit through the door. 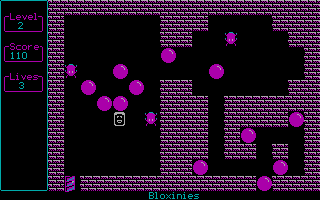 Use boulders to block enemies and to block the static shooters. You can also use enemies to block shooters. Download Bloxinies here. 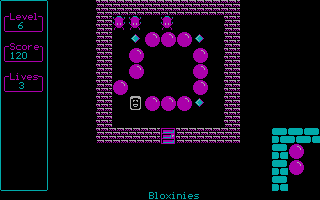 The ZIP-file includes the game with 16 levels and the source code. I tried the game, works great! Despite the simple graphics and low count of game elements it's fun to play. 25, 30 years ago you could earn money with this! Yesterday I've tested the game on an AMD 8088 4,77MHz (on IBM 64-256k motherboard with 256k fitted) with Paradise PVGA1A VGA card. The game runs very well on this slow machine. Next step is to run it with Hercules and a software CGA simulator. 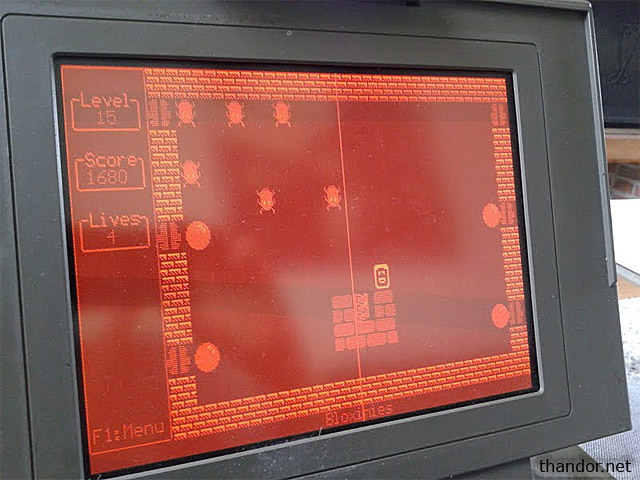 Would it be able to run this game in Hercules/Monochrome mode as well?